Are you looking for days out in Fife? 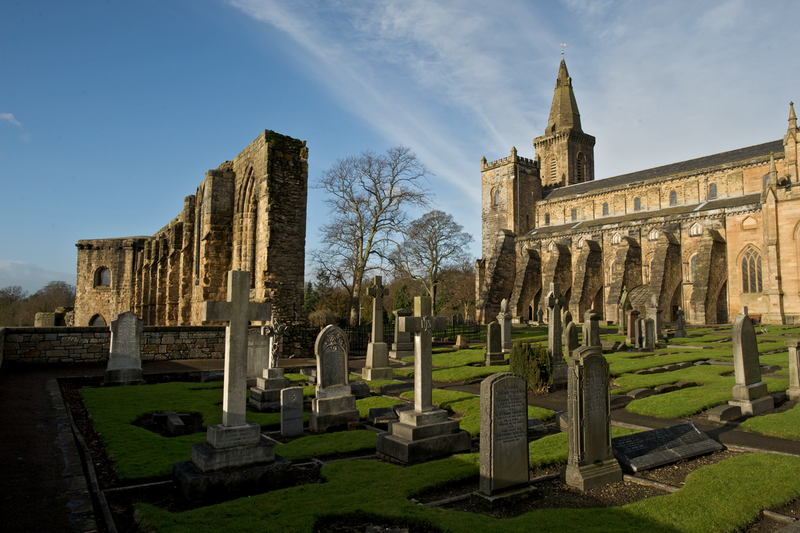 Well if you are keen on history, why not plan a day out to visit Dunfermline Abbey and Palace? The Abbey was a Benedictine ruin that dates back to the 11th century. This was the time of King Malcom III and Queen Margaret, who founded it. Their son David I raised its status to an Abbey by bringing in stonemasons from Durham Cathedral to build it. Here you can see stone pillars resembling those of Durham Cathedral! There are strong links with royalty in the Abbey. You will find the tomb of King Robert the Bruce here, beneath the pulpit, with a fine brass cover dating from 1889. The shrine of Queen Margaret is also situated on the East gable of the church. It has been a place of pilgrimage since medieval times. King Edward I damaged the Abbey in 1303 and the rebuilding of it was financed by King Robert Bruce. At this time the extravagant and imposing facade was built giving the Abbey its grandeur and stature. The rebuilding of the Abbey symbolised the confidence that King Robert the Bruce had in his kingdom. After the reformation in 1560, King James the VI had the remarkable palace built to the west of the old cloister. This is where the last King of Scotland was to be born with the birth of King Charles I in 1600. The family lived here until 1603, leaving for pastures new in London. Sadly after this, the palace fell into disrepair. The Abbey and Palace are open all year round and there is a refectory where you can enjoy refreshments and a shop you can browse and buy yourself a memoir to remind you of your day at this special place. Has this got your appetite going for a visit? Then add Dunfermline Abbey and Palace to your list of things to do in Fife. It is a must see and do activity if you are interested in history and buildings. It is also a great place of learning for children. They can let their imaginations run free with all the fascinating stories of the ages! Days out in Fife are ones you will always remember. Are planning a touring holiday in Scotland and fancy visiting Dunfermline Abbey and Palace? Our Fife caravan park is ideally located if you do. To find out more then please just get in touch and we will be delighted to help. You can call us on 01333 313 098 or email us here. We look forward to helping you create a holiday of a lifetime!